“At Veritas Dentistry, I have the opportunity to provide patients with dental care in a practice based on integrity, honesty, perfectionism and dedication to the patients and the community we serve. As a dentist, I have learned the importance of discussing all treatment options with patients, so that patients can be informed of all possibilities and make their own educated choices". Dr. Torres was born and raised in Woodside, New York. The third son of hardworking immigrant parents, Joe tested into advanced New York City Public Schools, attending Cardozo High School in Bayside. Joe was accepted to the prestigious Yale University where he received a Bachelor of Arts majoring in Psychology with a Biology Track. Dr. Torres continued onto Temple University School of Dentistry where he graduated as a Doctor of Dental Medicine (DMD). Upon completion of Dental School, Dr. Torres completed an extensive Dental Residency Program at Bronx-Lebanon Medical Center / Albert Einstein College of Medicine. Dr. Torres has practiced for many years at a muti-specialty office in Lancaster, PA before deciding to return home to New York. Dr. Torres has extensive knowledge and experience in the field of Dental Implantology and Full Mouth Rehabilitation. His personable and kind-hearted nature give you the opportunity to feel comfortable and relaxed while in his expert care. He has volunteered widely and offers care to physically and mentally disabled, a cause close to his heart. Dr. Torres is thrilled to be practicing in Yonkers, New York saying “At Veritas Dentistry, I have the opportunity to provide patients with dental care in a practice based on integrity, honesty, perfectionism and dedication to the patients and the community we serve. As a dentist, I have learned the importance of discussing all treatment options with patients, so that patients can be informed of all possibilities and make their own educated choices". Dr. Torres is a member of the American Dental Association, the New York State Dental Society, the American Academy of Cosmetic Dentistry, and the American Society of Forensic Odontology. In his free time, Dr. Torres enjoys spending time with his wife, Moira Quinn Torres, their two boys, Joseph and Desmond, and their Bernese Mountain Dog, May. 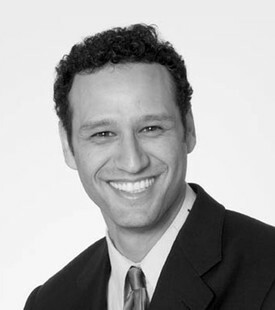 He is thrilled to be part of this dynamic community of Yonkers and looks forward to treating all of your dental needs.